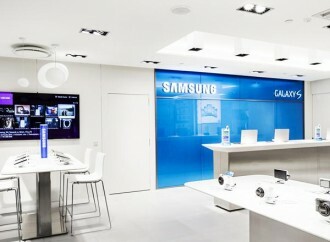 The Samsung Electronics West Africa has said that it would provide apt and innovative partnerships that would set Nigeria on the path to attaining the Sustainable Development Goals (SDGs). available to the News Agency of Nigeria (NAN) on Tuesday in Lagos. The statement said the company needed to rise to the challenge and work toward achieving the tasks ahead of maintaining the standard. “We are humbled by this recognition but by the same token understand that the task ahead is even bigger. “We need to rise to the challenge and provide apt and innovative partnerships that will set Nigeria on the path to attaining the Sustainable Development Goal,” it said. The statement said Samsung Electronics West Africa was among several businesses assessed by a jury made up of experts drawn from Nigeria and other parts of the world. It added that the jury based its assessment on the outcome of field visits and verification of data. It disclosed that the company had received the “Youth Focused Award’’ and was lauded for its sterling work and contribution to the lives of the Nigerian youth through its programmes. “We established Samsung Engineering Academy which has trained 118 young people, 40 per cent of which are gainfully employed as a result of the training. “We have a digital village in Cross Rivers which has a significant number of young people who will potentially benefit from this project, especially the Solar Powered Internet School. “Samsung was nominated in a total of three categories, including Best Company in Youth Focused CSR, Best Company in CSR Innovation and Most Improved Company in CSR 2015,’’ it said. The statement also noted that its Corporate Citizenship Manager, Mrs Abosede Alimi, was recognised as one of the top three Certified Sustainability (CSR) practitioners in the country. It said that the accolade she received represented a vote of confidence in the efforts of Samsung to positively impact the lives of the people. “For me, this accolade represents a vote of confidence in our efforts to positively impact the lives of people, particularly the youth. “Our goal has always been to address the felt-needs of the communities we operate in. “And this recognition will go a long way in inspiring the team to do more in ensuring that we change the course of Nigeria through sustainable corporate citizenship programmes,’’ it added. NAN reports that Samsung Nigeria has been conferred the best Company in Youth Focused Certified Sustainability Report (CSR) at the recently concluded Social Enterprise Reports and Award (SERAS) 2015.